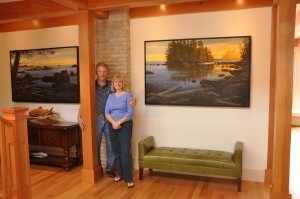 Commission an Artwork - Mark Hobson • Coastline Art Inc. If you see an artwork that you like but it has sold out, or you are seeking an art work in a custom size, then you can commission Mark to create this for you. Mark can recreate any of the artworks you see but will ensure that there is some variation which will keep it original and special. The great bonus about commissions is that Mark can create a painting size that fits within a set budget. Commissions are a great way to get just the right piece of art you are looking for, or make the perfect gift with a personal touch. Please contact us to discuss your desires and the options available to you. Mark will personally talk through your ideas with you and guide you towards the perfect artwork. The time it takes to complete your work can vary and depends on detail, size, order backlog as well as Mark's exhibition and workshop schedule. 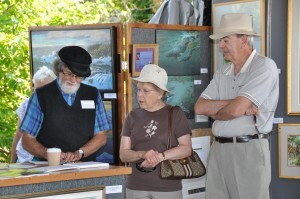 Mark will let you know the timeframe you can expect to receive your artwork in your initial conversation. A 20% downpayment is payable upon placing your order with the outstanding balance payable upon delivery.